Kneel before Zod! 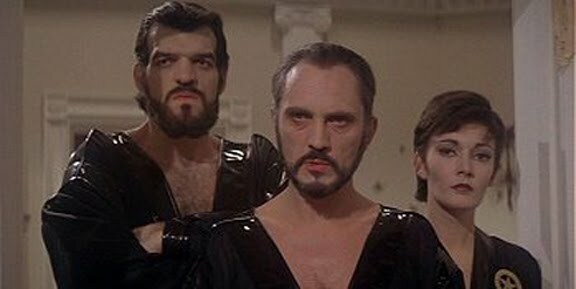 The dastardly trio from Krypton take Earth by storm in pure 1980 style. For a fun mix ‘n match game, consider swapping clothing between characters. 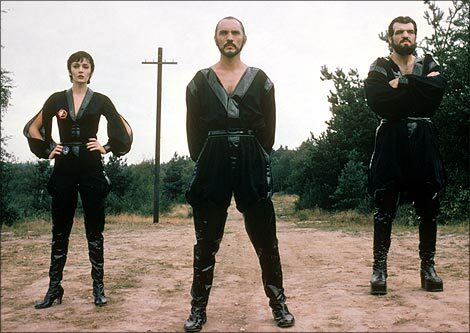 Not happy with Zod’s thigh-high boots? Exchange them for Non’s platform ones! Add Ursa’s split sleeves, and Zodursanon is born! Chest hair not included. Tina Turner is a legendary musical performer and has always been known for flashy costumes on stage. 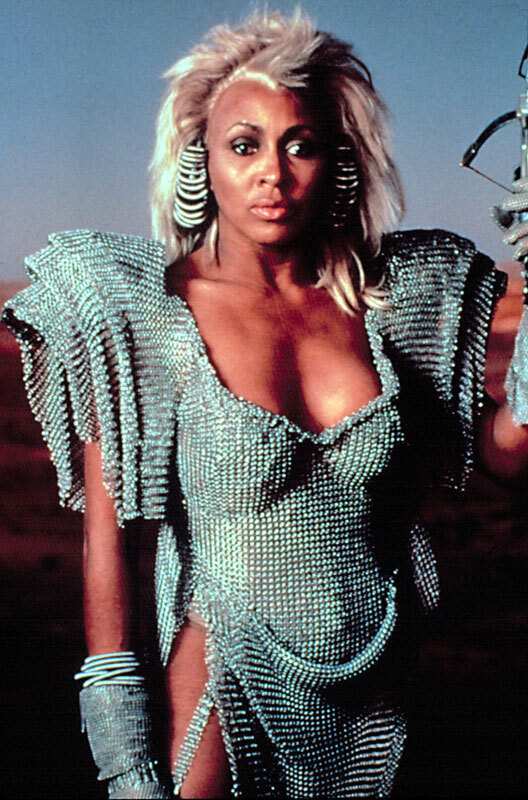 As Aunty Entity in Beyond Thunderdome, she wears a doozy- scalloped shoulder pads the size and shape of Sydney’s Opera House, beaded gauntlets, the works. The film itself is a guilty pleasure of mine, as is Tina’ s goofy performance. 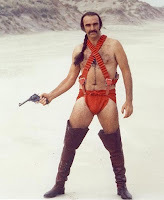 When it comes to notoriously bad costuming, you can’t get much more famous than Ro-Man. 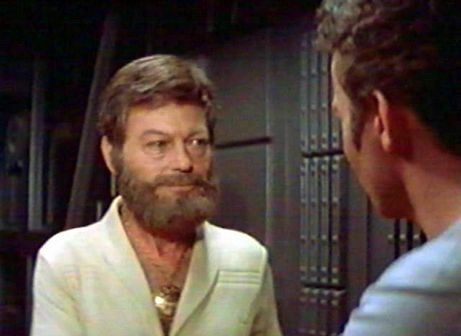 The poster child for all things Z-grade in science fiction, he sets the standard for gorilla-suited guys with rabbit-eared helmets. Bonus points should be given for having the character use a bubble machine to communicate with his alien commanders. 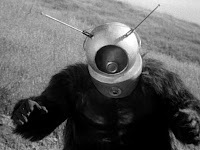 Japan is well known for interesting costume choices, and the critters in Warning from Space are a great, early example. The warning they bring to Earth is of an impending collision with another planet, but the message most likely was lost amidst the laughter. 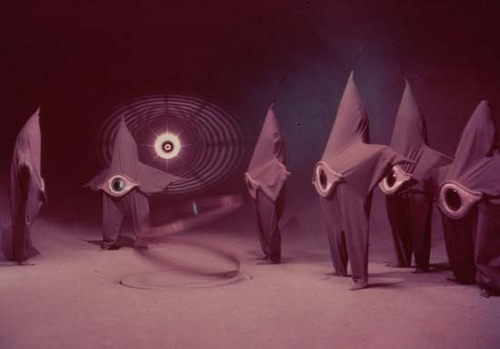 Credited as the first Japanese science fiction film produced in color. Starring in a notoriously bad film is harsh enough without having to do so in a goofy costume. Built something like a Klingon with 80s-style shoulder pads and 70s platform shoes, the Psychlo race could hardly be better named. John Travolta and Forest Whitaker ham it up the best they can, but nothing is able to save this production. 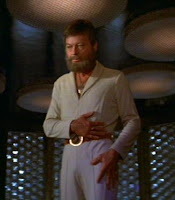 Over the years, science fiction films have featured some of the oddest costuming. To kick off our celebration, we begin with one of the worst. Sean Connery, playing Zed in John Boorman’s Zardoz, sports a red diaper, tall boots, a ponytail, and a handlebar mustache. At this point, the jokes write themselves, don’t they? 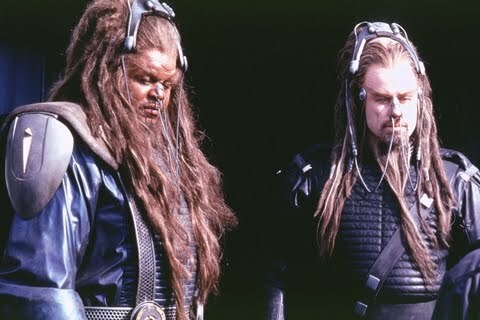 The costumes in the film were designed by the director’s wife, so perhaps no one was willing to tell him how silly they were.